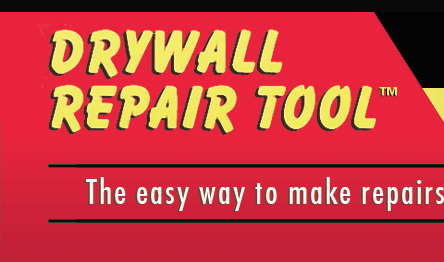 The Drywall Repair Tool is designed to make small repairs on knock-down drywall quickly and easily without the mess. 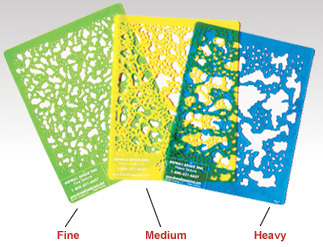 Simply select the Drywall Repair Tool that matches your knock-down texture. 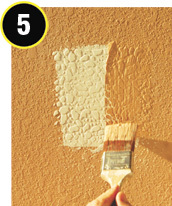 Purchase spackle, take a small amount and work it with a taping knife. You then hold, thumbtack or tape the Drywall Repair Tool over the repaired drywall and then apply spackle to the Drywall Repair Tool with the taping knife. 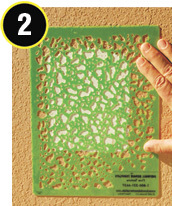 You then pull the Drywall Repair Tool off the wall and let the repair dry. If you are not happy with the look of your initial attempt, simply wipe the spackle off while it is still wet and try again. 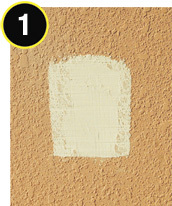 Once the repair is dry, you can sand the repair down to achieve the appropriate matching texture and then paint the repair to match the rest of the wall – simple, clean, quick. You have made a repair on a knock-down drywall surface. 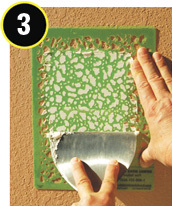 Hold the drywall repair tool over the smooth reparied area. iately pull the tool off. 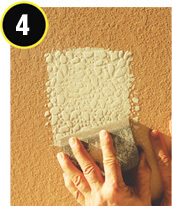 After it is dry, lightly sand the area to help it blend in. Paint over the repaired area. Haz hecho el reparo en el pared de yeso. Mantenga la heramiento sobre el área que haz repardo. Aplique el yeso sobre la heramienta y inmediatamente despues quitas la heramienta. Despues que se ha secado, lija el área libianamente para que se quede parejo con el resto del pared. Copyright © 2010 Drywall Repair Tool, All rights reserved.